Furry warmers lilac microwave heatable slippers. 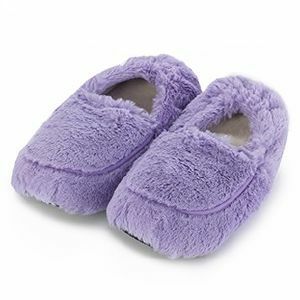 Luxury microwave heatable lilac coloured furry slippers. Simply heat these slippers in the microwave for 1 to 2 minutes. These heatable slippers are scented with French lavender.